Persol PO3108S sunglasses are a timeless shape - on trend but forever classy Expertly hand-crafted in Lauriano, Italy since 1917, Persol is one of the most distinguished eyewear brands known for their refined, timeless style. Full rim frame made from lustrous, durable acetate. 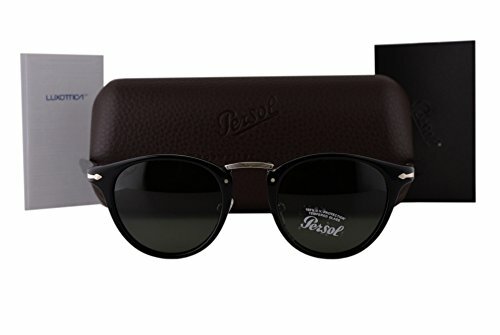 Round lenses will suit most face shapes Adjustable silicone nosepads for a perfect fit The iconic Persol silver arrow is displayed on the temples and Persol signature logo on temple end. Designer eyewear made in Italy, comes with original case and manufacturers papers & warranty. If you have any questions about this product by Persol, contact us by completing and submitting the form below. If you are looking for a specif part number, please include it with your message.